At the far end of the MTC laundry room, there is a bin of shame. A bin filled with pink and periwinkle dress shirts, and shirts polka dotted with ink from the pens of distracted missionaries. These missionaries who ruin their shirts must now sheepishly write home that they need more shirts. Don’t be that elder, Elder! Clothing care is one of the most important skills that you will need to be successful as a missionary. Too often, missionaries learn these things on their mission—when they should have learned them before you came out. These skills will serve you well for the rest of your life. As part of your mission prep, go spend some time with your mother learning to wash clothes. She will love the company, and you will love that you know what to do when you are in the field away from your favorite laundress! To this end, here are some laundry tips and tricks that will help you look like a missionary for the whole two years of your mission. • Sort your laundry by color and fabric content. Usually you will have one dark batch and one light batch. For sisters, you may even have a colored batch of light colors. However, beware of reds! They must almost always be washed alone unless you know for certain that they are colorfast. Make sure to wash like colors together. Also, be aware of the fabric content of the clothing. Some fabrics are to be washed in different temperature water than others. The typical elder wash loads usually go something like this: 1 batch darks that have washable dress slacks, socks, and sweaters (and maybe a washable tie or two if needed), 1 batch whites that has shirts, garments etc., and 1 batch towels and sheets that can be bleached to be disinfected. Also, don’t forget to wash your laundry bag with your clothes! Sisters laundry could also include a colored batch. • Use chlorine bleach only for disinfecting, not for brightening your clothes. Chlorine bleach will disinfect your clothing, but do not use it to brighten your whites. It actually takes the coloring out of your clothing. Unbeknownst to most people, plain cotton is not white. It is gray. It is dyed white. 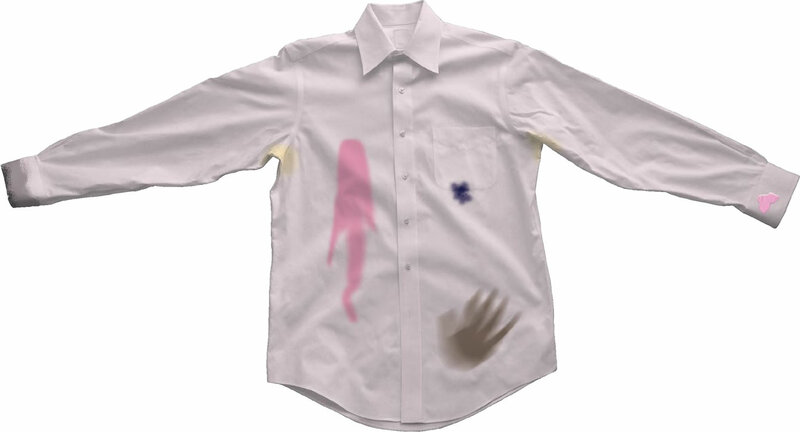 So, when you bleach your white garments, and white shirts, and they begin to turn gray, it is actually because you are taking the coloring out of them. A better alternative would be a “color safe” bleach, which disinfects and brightens with a little bit of bluing in the mixture (which is why the liquid is blue…) If you are serving in the US, oxygenated whitening products (think Oxy CleanTM) are a great alternative too. • Realize that you don’t have to put everything in the dryer. This applies more to sisters. Any article of clothing with a high content of polyester will come out of a good washing machine practically dry. You can save yourself some ironing by pulling these items out of the dryer and hanging them to dry. It also cuts down on the wear and tear of the item so that it looks new longer. • Take shirts right out of the dryer and hang them up immediately. By hanging up your shirts hot from the dryer, you can cut down on what you need to iron. Often you can do some finger pressing while the shirt is still warm, and it will keep its wrinkle free appearance. The same goes for washable dress slacks. Learn how to hang them properly, and you will find that they look nice without a lot of fuss. On the flip side, if you leave things to cool in the dryer, they will wrinkle pretty bad. Make sure you take them right out. • Handwashing is not as hard as it sounds. If you are serving in an area where there are no washing machines or laundromats (such as a foreign land) you may be faced with handwashing. The easiest way to manage handwashing is to start by cutting down the amount of handwashing you need to do by washing your garments when you shower daily. Keep a block of laundry soap in the shower, and when you step in, wash your garments during your shower. After you get out, hang them to dry. This will make your laundry load much less on P-day when you go to wash the rest of your clothing. Also, make sure not to let things soak together that are not like colors. softener, and after you have rinsed your clothing, wring it out and dip it in the fabric softener water mixture. Wring it out again, and hang it up. When it is dry, it will be softer. • If something says “dry clean only” how do I know if I can wash it? Manufacturers that sell in the US are required by law to include a care label on the clothing they produce. The care label usually refers to the “best result” of how to care for the clothing. However, many things that are labeled as “dry clean only” can be gently hand washed or washed on gentle in the machine. Often they are labeled for dry cleaning not because they can’t get wet or be laundered with detergent, but because the twisting and friction of machine washing is very hard on clothing and can ruin the fibers of the garment and the shape. So, the garment gets a “dry clean only” tag because the process is much more gentle. A general rule of thumb is to look at the fiber content to see if the fiber in the garment is washable. A good example of this is that we carried a blouse that was 100% polyester crepe de chine. The tag said “dry clean only”, but we had a similar blouse from a different manufacturer made from the same fabric and it said “machine wash cold with like colors.” We tested both, and they both did fine being washed. For elders, white shirts make up the bulk of your weekly P-day laundry. The biggest trick with white shirts is keeping them white! First things first, don’t be lost in thought while loading that wash basin or washing machine. Pay attention! Make sure to remove pens, crayons, scripture markers, colored paper, gum, food, etc. Please don’t wash white shirts with dark colors, especially red. Remember, the 2-year guarantee will protect you from fires, dogs, bike wrecks, wear, tear, floods, etc. but it won’t protect you from “duh.” Many missionaries like to write their names in their clothing. That is smart, but what isn’t smart is to write your name in every single article of clothing before trying it on. We can’t take shirts back that have names in them simply because there is only one Elder Rupert Pasaquah Methuselah Rinkenhofferworth. While that is a name to be proud of, no one else wants it in their shirt. Yellowing of the underarms is one of the biggest challenges for elders. The culprit is usually antiperspirant deodorant. The aluminum in the deodorant mixes with salt in the perspiration to create yellow stains. There are a few ways to minimize this from the source—get a deodorant with less aluminum, and allow the deodorant to dry before getting dressed, or dry the deodorant with a talc like Gold Bond(TM) before getting dressed. That will cut down on the yellow caking that happens in the shirts. A missionary’s first instinct when seeing yellowing is to hit it full force with the bleach, but not so fast. Bleach can actually cause the problem to get worse by removing the white dye from the fabric! Our top pick is Oxyclean (TM), but if you don’t have access to that, one of the best laundry boosters available anywhere in the world is the “1-1-1.” One part baking soda, one part hydrogen peroxide, and one part water (about a quarter cup of each for each shirt). Apply to the stains and let sit for about 30 minutes. You can also use an old toothbrush to scrub at it a bit, then just wash as usual. Another alternative is to soak the underarms of the shirt in white vinegar. Use a gentle brush (a nailbrush will do) to scrub the area with a quality laundry detergent and then rinse. It should help minimize or remove the yellow. Wash them as soon as possible after getting a stain. Don’t let damp shirts sit in a bag or other unventilated laundry hamper—in some climates they will mold and black mold stains are nearly impossible to remove. Dryers set stains, so if possible, hang your clothing in the sun to dry. Turns out that the brightest whites have a slightly blue hue to them. White fabrics with a blue hue (why are you crying?) actually reflect more light. See Mrs. Stewart’s Liquid Bluing. A suit or dress pant with a good Polyester/Wool blend will be fairly easy to take care of. Wool is somewhat self cleaning as a natural fiber and has natural antimicrobial and antibacterial properties. What this means for you is that your wool-blend clothing won’t require a lot of washing. You can gently spot clean it if you get something on it, but it shouldn’t need much washing. In some missions it is only required to wear suits during the winter, but most never need to dry clean their suits. The layer under the suit (garments or thermals) helps absorb perspiration and oils from the skin. If your suit gets muddy, wait for the mud to dry and then brush it off. If they get wet in the rain, just let them dry out for a few days before wearing them again. There may be an occasion when you will need to clean your suit jacket. As hard as we have tried, we have never successfully developed a washable jacket. Suit jackets are complex, so getting the lining, fusing, and shell to all expand and contract at the same rate for washing and drying is almost impossible. For suit pants, they can tolerate a little bit of hand washing with a gentle detergent or machine wash on the gentle cycle. The biggest concern with suit pants is that they will no longer match the suit jacket if washed frequently, so wash suit pants sparingly. For dress pants that don’t need to match a suit jacket, wash as often as you would like. Our poly wool dress pants are rated up to 100 industrial washings, so wash to your heart’s content. I would suggest though that you make life easy and never put suits or dress pants in the dryer. It is so much easier to hang to dry by the hems of the pant. Again, this isn’t really a “wearout” issue, but pants lose their crease and ironing them correctly is a pain. If you do need to iron wool blend pants, grab a light weight dish towel, get it damp, and then lay it over the pants you want to press. Not only does it add steam, but it protects the fabric from getting shiny. The word here is polyester. The super-fine modern polyester weaving techniques mean that unless you light the tie on fire, a nice polyester or microfiber tie is indistinguishable from silk. (silk burns and polyester melts, and no, the guarantee does not cover clothing that you purposefully set ablaze, though we do get a kick out of the pictures.) Polyester also won’t bleed onto your shirt in a downpour and since it is basically plastic, it won’t stain easily. If you purchase a polyester tie that also has a polyester core, you can also machine or hand wash your ties. Again, the dryer is not your friend here. Hang to dry and don’t wash them with your shirts. Wash your socks with your darks and they are fairly indestructible. I would make one suggestion though, get only black and all the same style. The sock fairy (your dear, sainted mother) is not coming with you, so if you do this, you’ll save a ton of time mating your socks. For Elders, we suggest take acrylic sweaters. Acrylic is a synthetic fiber made to mimic wool. They are just about as warm as wool, but a whole lot easier to care for. Plus they don’t pill onto your shirt or bleed onto your shirt if they get wet, and best of all they don’t shrink. It is about at this point that we suggest you write a letter to your sweet mother. As you realize here all that goes in to taking care of your things, you should feel inclined to writing her a nice 5-6 page letter of gratitude for all of the work she has put in to making you look nice all these years. THIS IS SO GOOD! I have to teach a class about laundry for a stake MTC day this week and this is literally all the material I need. Thank you!! !